The Slantsy Museum of Local History and Tradition opened its doors to the public in 1978. It occupies the ground floor of an apartment house on the outskirts of the town of Slantsy (Shales). The museum funds include 11 ths objects that are mostly corporate and private donations. 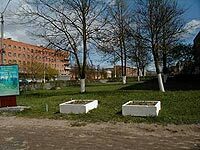 The unique materials that depict the history of shale mining and processing in Leningrad region one day could be a foundation for creating a new museum - Museum of Shale. Local shale mining was started in April 1930 giving birth to the town of Slantsy. The museum exhibit reveals the history of the area from the initiation of shale industry to nowadays, describes flora and fauna of the area including trilobites found in the mines, displays the local archeological findings of the 12th-14th centuries and shows shale mining and processing in detail. The museum welcomes up to 10 ths visitors every year. 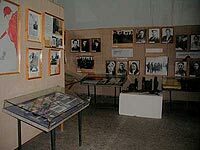 Besides exhibiting and lecturing, the museum invites conferences, readings and meetings with war and industry veterans. It is an active participant of various community actions. Since 1979 an exhibition hall has been added to host rotating exhibits. More than 150 art and specialized displays have been arranged from the funds of museums in St.Petersburg, Moscow, Nizhny Novgorod, Pskov and other Russian and foreign cities. Another rewarding tradition of the museum is to invite craftsmen for the folk art and craft shows where they can exchange ideas and share their skills.